Bullish kicking signal - what happens on the market? 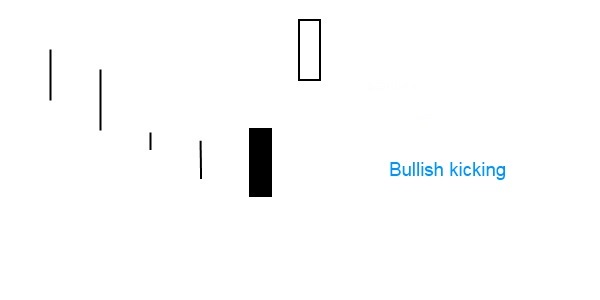 Bullish kicking is a two candlestick reversal pattern. A downtrend prevails on the market. On the first day a black marubozu appears, that is followed by a white marubozu on the second day. The second day opens higher with a body gap. What happens on the market when a this sign appears? Bullish kicking is a strong sign showing that the market is heading upwards. When this happens, the abrupt change in attitude is likely due to some sudden surprise news. The larger the gap between the two candles, the more significant the signal. The longer the candles are the more dramatic the price reversal is. This pattern is extremely rare.